The final bit of content for Dark Souls III, and likely the last bit of Dark Souls content that creator Hidetaka Miyazaki will be involved with, arrives next month. It sounds like "The Ringed City" DLC will follow-up on some of the bigger questions that are leftover from the last piece of DLC, "Ashes of Ariandel." As with all the Dark Souls related news we post here, more details and the teaser video are after the break if you want to avoid any potential spoilers. In the presser materials from Bandai Namco, "The Ringed City" DLC will see your hero "chasing after the Slave Knight Gael to the literal end of the world as he searches for the Dark Soul of Humanity." 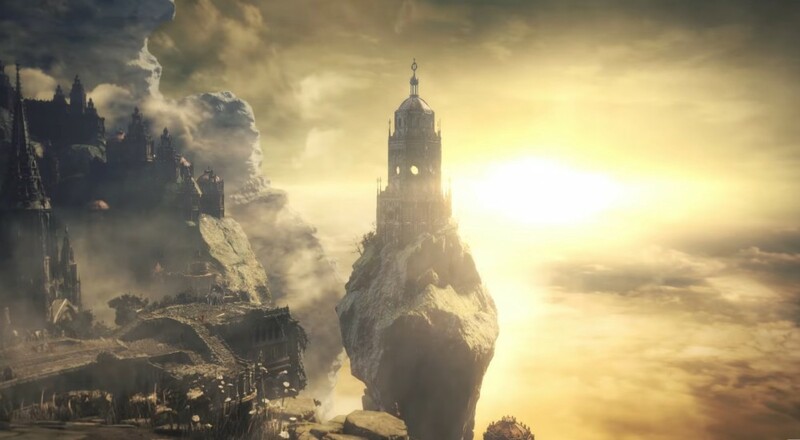 The teaser for this content shows off an area that was previously seen (but not reachable) at the very end of Dark Souls III. Specifically, that amalgamation of architecture that appears to include some familiar looking places. Chances are good that the references to previous Dark Souls titles will increase even more here, so now may be a good time to check out all of VaatiVidya's videos on YouTube to fill in your Dark Souls lore gaps. "The Ringed City" DLC will be available for PC, Xbox One, and PlayStation 4 on March 28, 2017, and will retail for $14.99. If you previously picked up the Season Pass, then you just have to wait seven more weeks to begin your final journey. Can Your PC Handle the Dark Souls 3? Page created in 0.3409 seconds.